The Syracuse women’s team, led by head coach Gary Gait, recently signed – or “drafted” – a 5 year-old girl from the local area. A young girl with cerebral palsy was drafted to the Syracuse University women’s lacrosse team Friday, January 25, 2019 during a special ceremony in association with the Team IMPACT, a national non-profit organization that matches children with serious illnesses to college sports teams. 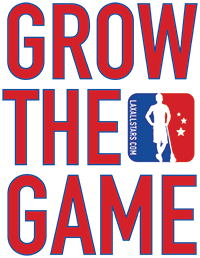 Got a lacrosse-related story or video you want us to feature here on LAS? Drop us a line!